(National Catholic Register) In the second part of this interview with Archbishop Gerhard Ludwig Müller (Part 1 can be read here), the new CDF prefect discusses the latest on efforts to bring the Society of St. Pius X back into full communion with the Church, the current situation regarding the Leadership Conference of Women Religious, and responds to what some saw as controversies over some of his previous writings on the perpetual virginity of the Blessed Virgin Mary and on the Eucharist. What stage have we reached in the dialogue between the Vatican and the Society of St. Pius X? I wouldn’t call it a dialogue between two Church partners. This was a brotherly colloquium to overcome difficulties with an authentic interpretation of Catholic doctrine. This authentic interpretation is guaranteed by the Pope. The SSPX must accept the Holy Father, the Pope, as the visible head of the Church. They have a great respect for Tradition. They must, therefore, accept the position of the Pope as stated in the First Vatican Council. They must also accept the doctrinal pronouncements made since the Second Vatican Council, which have been authorized officially by the Pope. Part of the problem is that, after 30 or more years of separation from the Church, some groups or persons can be very closed in their own dynamic, in their own groups, and very fixed on these points. I believe that these questions will be resolved in the long term. Is it possible for reconciliation with Bishop Richard Williamson within the society? Williamson is a separate problem to this reconciliation process. 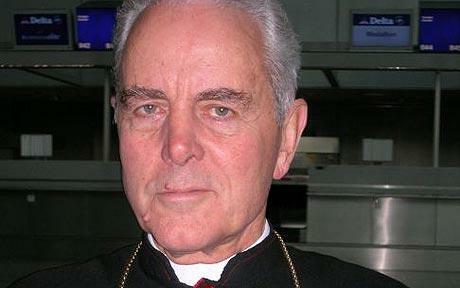 It is simply unacceptable that a Christian or even more a bishop — of course he is not a Catholic bishop, as a bishop is only Catholic when he is in full communion with the Pope, the Successor of Peter, which Williamson is not — denies all that the Nazis had done against the Jewish people, their exterminations. How is it possible to be so cold-hearted about this? It is absolutely unacceptable, but this is a separate problem. 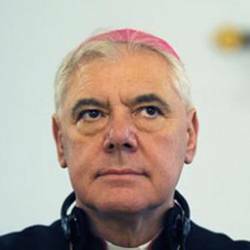 They [SSPX] need to accept the complete doctrine of the Catholic Church: the confession of faith, the Creed, and also accept the magisterium of the Pope as it is authentically interpreted. That is necessary. They also need to accept some forms of development in the liturgy. The Holy Father recognized the perennial validity of the extraordinary form of the liturgy, but they also must accept that the new ordinary form of the liturgy, developed after the Council, is valid and legitimate. 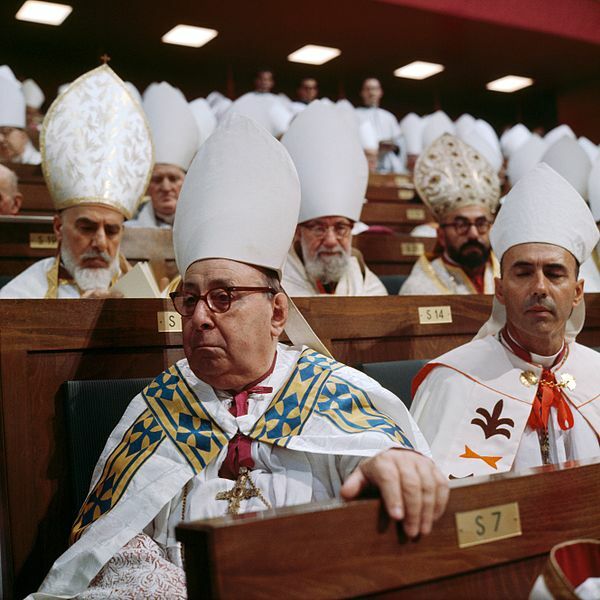 Some argue the Second Vatican Council was merely pastoral and, therefore, not binding. How do you respond to this? The problem here is the interpretation of the word “pastoral.” All councils are pastoral, in that they are concerned with the work of the Church — but this does not mean that they are merely “poetic” and therefore not binding. 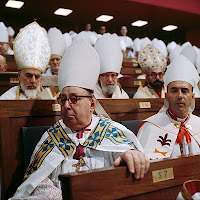 Vatican II is an official ecumenical council, and all that was said in the Council is therefore binding for everyone, but at different levels. We have dogmatic constitutions, and you are certainly obliged to accept them if you are Catholic. Dei Verbum discusses divine Revelation; it speaks about the Trinitarian God revealing himself and about the Incarnation as fundamental teaching. These are not only pastoral teachings — they are basic elements of our Catholic faith. Some practical elements contained in the various documents could be changed, but the body of the doctrine of the Council is binding for everyone. In view of all this, are you nevertheless confident and optimistic there will be reconciliation with the Society of St. Pius X? I’m always confident in our faith and optimistic. We have to pray for goodwill and for unity in the Church. The SSPX is not the only breakaway group in the Church. There are worse ones on the opposite side, too. These movements are worse because they are often denying essentials of Christianity. We must work for unity, and so it is also my task to invite all to come back into full communion with the Catholic Church, which is led by the supreme shepherd, the pope — who is the Vicar of Christ. If they do come back, what positive aspects could they bring to the Church? They could underline what Tradition is, but they also must become broader in their perspective, because the apostolic Tradition of the Church is not only about a few elements. The Tradition of the Church is large and wide. On the other hand, there must also be a renewal in the celebration of the liturgy, because we have had a lot of abuses of the liturgy, which have damaged the faith of many people. Could they perhaps help correct some of the abuses?